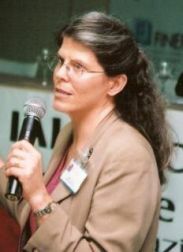 Mary C. Hill is a Professor at the University of Kansas, Lawrence, Kansas. She was a senior research hydrologist at the U.S. Geological Survey for 33 years. She holds a PhD in Civil Engineering from Princeton University. She has published over 135 journal articles, reports, book chapters, and a book. She has taught over 30 short and semester courses and is the recipient of the National Ground Water Association Darcy Lectureship and M. King Hubbert Award, and the American Society of Civil Engineers Walter L. Huber Prize. She is a Fellow of the Geological Society of America. Her research focus is on how to best use data to inform numerical models of environmental systems and how to use models to manage environmental systems, understand sources and measures of uncertainty and risk, and inform data collection. 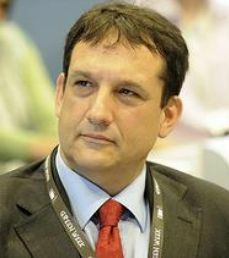 Gabriel Anzaldi Varas Head of the Smart Management Systems Unit at Eurecat. 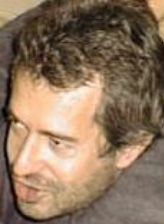 He is Electronic Engineering by IESE, Advanced Studies in Electronic Technology by UPC, Telecommunication Engineering by UPM, achieved his MSc in Telecommunications at the Buenos Aires Technological Institute, and MSc in communications at the US Signal Centre. He holds and extensive and multidisciplinary experience along product life cycle including, system development, innovation planning, scouting and business models along different sectors (public, private), both nationally and internationally, holding different positions such as Design Engineer; Project Manager; Researcher; Presales Engineer; Technical Director; R&D Director; CTO and collaborating with SMEs and large companies. He is coordinating the EU H2020 WIDEST project. 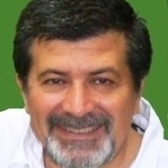 César Carmona Moreno was awarded a PhD in Computer Science and Image Processing (Institut National Polytechnique de Toulouse – France) in 1991. In 1993, he received the Nature’s award to the best publication of the year for his publication on SAR Interferometry. Currently, he is the scientific team coordinator of the Water Resources Management activities in Developing Countries at the JRC of the European Commission. The team is directly involved on the development of the Water Knowledge Management Platform (AQUAKNOW.NET), the European Water Initiative – Communication and Information System (EUWI.NET), the European Energy Initiative – Communication and Information System (EUEI.NET) and the Europe-AID Knowledge Management System (CAPACITY4DEV.EU). He is also the Coordinator of the Centres of Excellence networks on Water in Latin America (RALCEA) and Africa (AU-NEPAD Centres of Excellence. He is the JRC EUROCLIMA Coordinator for the assessment of the impact of Climate Change on natural resources in Latin America. 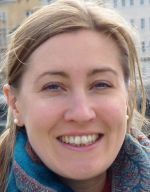 Gemma Carr is post-doctoral researcher and coordinator of the interdisciplinary Vienna Doctoral Programme on Water Resource Systems at Vienna University of Technology, Austria. She has a broad background with a bachelors degree in Geology and Physical Geography (University of Edinburgh), an MSc in Development and Environment (Royal Holloway, University of London) and a PhD combining human and environmental sciences (University of Reading). Her current research interests include exploring public and stakeholder participation in water resource management, socio-hydrology (the co-evolution of coupled human-water systems), and interdisciplinary research and education in the water sciences. Ezio Crestaz is a geologist, with specializations in GIScience and Computer Science. Since 1986, he has been working at various ENI companies, in Italy and abroad, in geothermal, mining, water management, environmental protection and remediation fields, taking part, among others, in regional scale and transboundary projects funded by UNDP, OLADE and EC. Following a PostDoc position at JRC of the European Commission, focused on water-agriculture-energy nexus in developing and emerging countries, he currently works in Saipem SpA. Contract professor in groundwater hydrology at Camerino Un., in 2006-2007, and guest lecturer in GISc at Birkbeck College/UCL, London, in 2010-2013, he is author of various scientific contributions in groundwater hydrology, spatial analysis, spatial databases and GIS applications design and development. Richard Elelman is a B.A. (Hons) Government and Public Policy, with a Masters in European Studies from Northumbria University at Newcastle upon Tyne (1983-1984). He is currently Head of Public Administration Projects, at the Fundació CTM, in Barcelona (2011- ), founder and Director General of the Network for Water in European Regions and Cities, NETWERC H2O. He is the Co-Coordinator of the EIP Water Action Group: CITY BLUEPRINTS and of the HORIZON 2020 project: BlueSCities. He is a political analyst of proven experience specialised in Environmental and Scientific Policy analysis that still collaborates with European Commission and public authorities of several countries. Andrea Gigliuto is a Geologist (University of Milan) with a PhD degree in Hydrogeology (University of Siena). He is working in ERM (global provider of environmental, health, safety, risk, social and sustainability consulting services) as Senior Consultant and Project Manager, leading projects related with water resources management, surface and groundwater modelling and remediation design. He has a broad experience in major private consulting firms, working in national and international contests in diverse industry sectors. He is an Associate Editor of the 1st Italian Journal of Groundwater¡± (AS/IT JGW). Randall T. Hanson Lead USGS research hydrologist for over 35 years developing hydrologic methods and water-supply analysis of regional watersheds nationally and internationally. With a B.S. in mathematics and in geology from New Mexico Institute of Mining and Technology and M.S. in hydrology from the University of Arizona, research includes new modeling methods and integrated hydrologic models for regional-flow, conjunctive-use, climate-change adaptation, and sustainability analysis. Leads development of the integrated hydrologic model, MODFLOW-One Water Hydrologic Model, and linkages to climate models and decision support tools. International research helps in Asia and Latin America, and is USGS representative for UNESCO/OAS ISARM of the Americas. 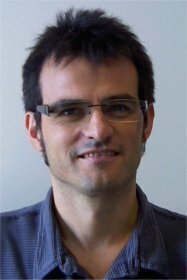 Dr. Lluís Pesquer develops his research activity into GRUMETS Research Group (Methods and Applications in Remote Sensing and Geographic Information Systems) and CREAF. He is PhD in Geography, MSc in Computational Science for the Universitat Autònoma de Barcelona (UAB), and BS in Physics in at the Universitat de Barcelona. 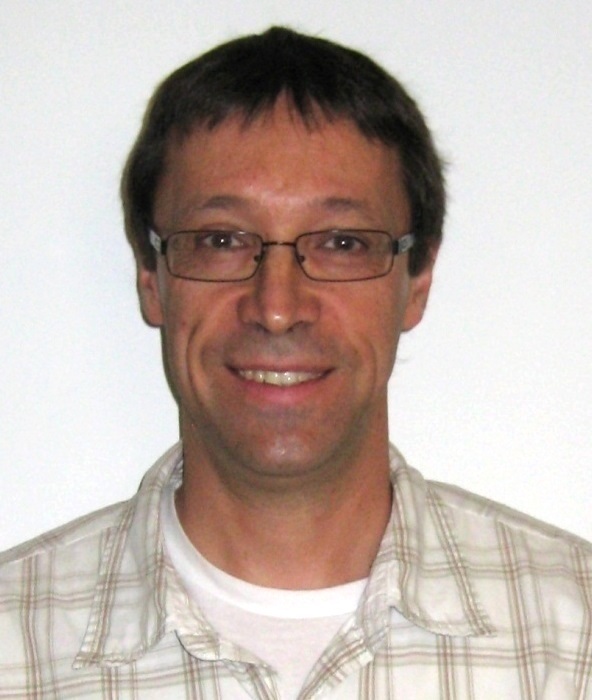 His main research interests are: spatial analysis, geostatistical analysis applied to Remote Sensing imagery, GIS processing, developing parallel solutions in high performance computing environments and ICT interoperability in Water domain; several papers and congress contributions are related to all these topics. He has participated in different EU funded projects, including the coordination of WaterInnEU, H2020 project of the ict4water cluster. He is also professor of Geography Department of UAB. Marco Petitta is Associate Professor of Hydrogeology at La Sapienza University of Rome, Italy. He is teaching Basic Hydrogeology, Groundwater Hydrodynamics and Applied Hydrogeology. PhD in groundwater modeling, his researches are focusing on groundwater management, groundwater quantity and quality, remediation of polluted sites, isotope techniques for groundwater studies. He is Chairman of the Italian Chapter of the IAH, Coordinator of the Panel of Experts in Hydrogeology of the EFG and Member of the Working Group of Groundwater of the European Union, for the Common Implementation Strategy of Water Directives. He is coordinator of the H2020 project KINDRA on groundwater knowledge gaps. He is active in international collaborations and with several European Universities. Wolfgang Schmid is a Senior Research Hydrologist at the Australian Commonwealth Scientific and Industrial Research Organisation (CSIRO). He has been working on integrated basin modelling in South Asia and cumulative impacts of Coal Seam Gas and coal mining development on water resources. Prior to joining CSIRO, he worked as Assistant Research Professor and Research Hydrologist at the University of Arizona. His particular interest is in hydrologic models that simulate the dynamic linkage of water demand and constrained surface-water and groundwater supply. Other interests are the response of water demand/supply to changing conditions (e.g., climate changes, droughts, land-use changes, resource exploitation, changes in water rights) and the dynamic dependency of surface-water/groundwater interaction on changing heads, flows, and aquifer deformation. 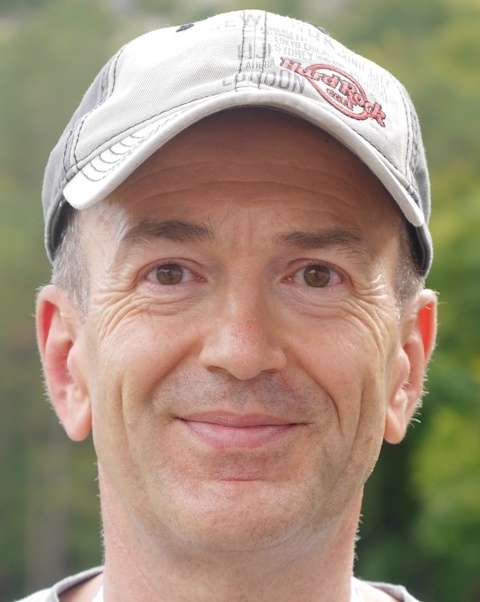 He and Randy Hanson from the USGS are the original authors of 'The Farm Process' for MODFLOW, which recently was upgraded and integrated into MODFLOW-OWHM. Before that, Dr Schmid worked as Hydrogeologist in consultancies in Germany and the United Arab Emirates for the German companies GTZ (German Technical Cooperation) and Dornier-Consulting.